Fri. Nov. 30, 2012 …….It’s a clear and chilly morning, have a guided trip today with Durham Potter and Buster Lewis, and looks like a clear, sunny sky and warmer temps. The conditions remain low and clear in a lot of places. Have been saying this for a while but we need some rain. It’s been a dry month, no measurable rain or snow since 10/29. Feeling a little under the weather as I have all week. Been battling it all week. Good but Cold End to a Good Day…. 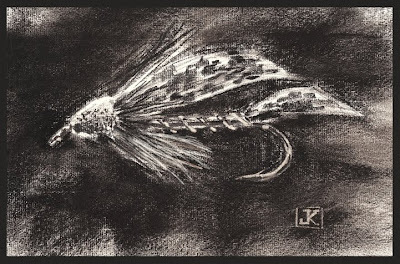 Wed. Nov. 28, 2012….Had already had a good day guiding Larry Tomar , we had landed about 15 or so and went to the truck for a break from the temps in the mid 30s, 15mph NW breeze, and 37F water….We moved upriver to a favorite spot and it yielded 15 more and one huge rainbow. We cranked up the heat and enjoyed a quick lunch, then we headed back out and hit another spot. We caught maybe a half dozen more and ended the day with a nice citation brook char. It was getting quite chilly with the sun sinking low in the sky and dusk quickly coming upon us. It was a good day, we landed about 3 dozen fish…..a good day on some big and deep water. Most of our fish came from spots where I think few fish see a fly, because folks fish above them by either not going deep enough or not using enough weight. Have a day of filling a ton of fly orders and Christmas orders then will be guiding a Friday trip with Durham Potter, Raleigh, NC, and Buster Lewis, Greensboro, NC. Wed…Nov. 28, 2012….. Good day so far guiding Larry Tomar. We have put 30 fish in the net including two citation rainbows and one huge citation brook char. We have caught fish in 36-37F water…and on nymphs …..mainly y2ks and midge droppers. Heading toward another spot. It’s downright cold today, 20s F to start today and its only 38F at 2:51pm and we have a delightful 15-20mph NW breeze giving us an enjoyable wind chill …. 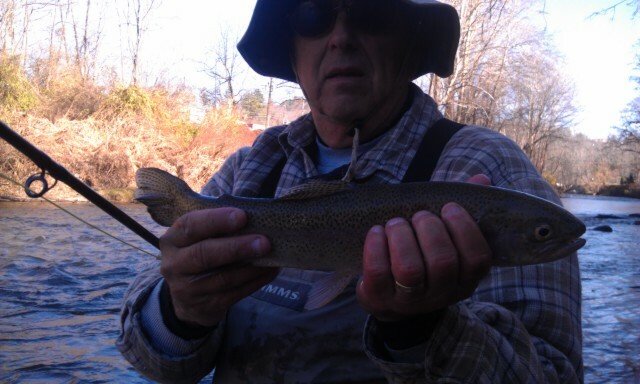 Tues. Nov. 27, 2012……..Had a good morning guiding Mac Cheek, Greensboro, NC, and put 30 fish in the net fishing two waters in McDowell County. We landed a pair of bigs right before lunch, one a brown and the other a nice hook jawed male brook char. Both were citation fish. Had one other fish on, a citation rainbow but it came off. We changed locations, hiked in to another spot and caught a few more….I guess we ended the day with three dozen fish. It was a great day. Will be headed out again tomorrow to guide Larry Tomar, Greensboro, NC. Should be another good day…. Fishing is fantastic right now…..let’s go fishing! Great Morning in McDowell County…. 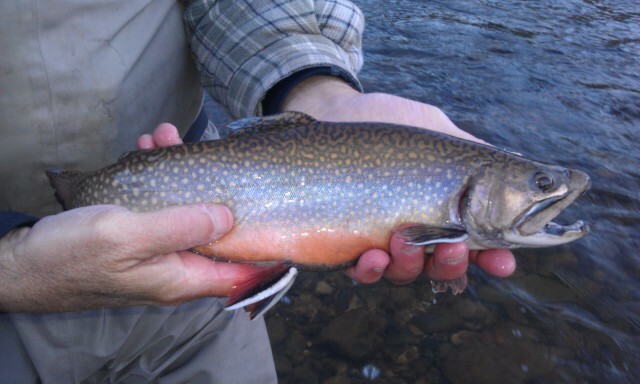 Tues. Nov. 27, 2012….Great morning in McDowell Co today so far guiding Mac Cheek , so far we have landed 30 fish , a mix of browns, brookies, and some nice rainbows. Headed to another spot…. Tues….Nov. 27,2012….Good day yesterday guiding Fred Gebarowski, Eric, Renniger, Raleigh, NC, TN South Holston, met Eric and Fred on the river early and we were in the water and fishing by 9am….just in time to get rigged up, spot a few rising, midging fish and just then the release siren bellowed out its all too familiar and shrill sound…..uh oh is what I thought, often that doesn’t mean good things. Look out, the flood and the ark are coming. But not today, the TVA has completed a winter drawdown of the reservoir and its now down enough to accomodate winter and spring rains and snows. I called the TVA and they had announced a 400 sluice through late December to service the generating unit at the dam. A gift….pretty ironic? I mean it is Christmas, a time when the giver of all gifts gave us the ultimate gift. This wasn’t as good as that but we did get in a full day of fishing. 400 sluice means rising fish and they don’t sit in that slow, dead water and have all day to look at your offerings. We had excellent dry fly action for about 5 hours, first with midges, then blue wings and sulphurs. 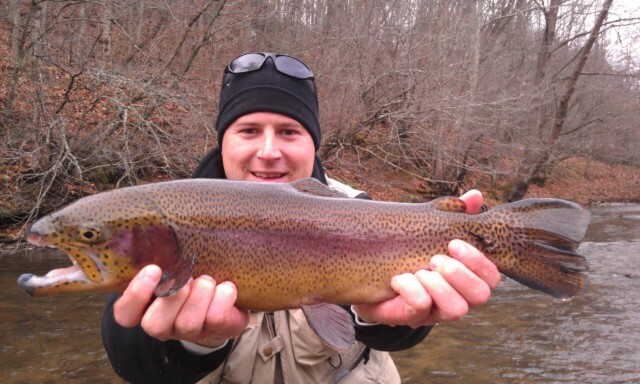 Fishing smashed sulphurs pretty well…..and its almost December? You bet. 400 sluice is a gift. 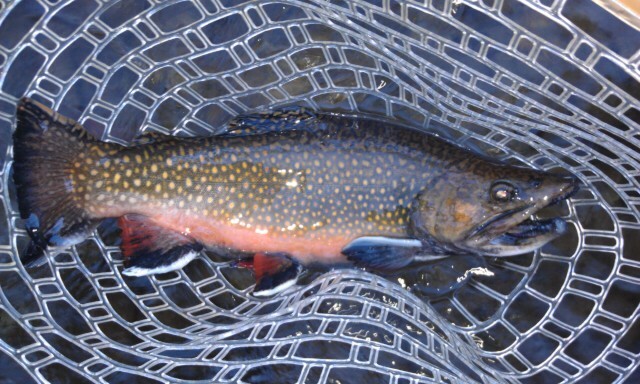 We landed about 3 dozen fish by my estimation, a good day, and great for 5 hours fishing, where else can you catch fish like that on dry flies/the surface this time of year? Its great. Will be hitting the SoHo a good bit during this event….it will last through mid to late December. 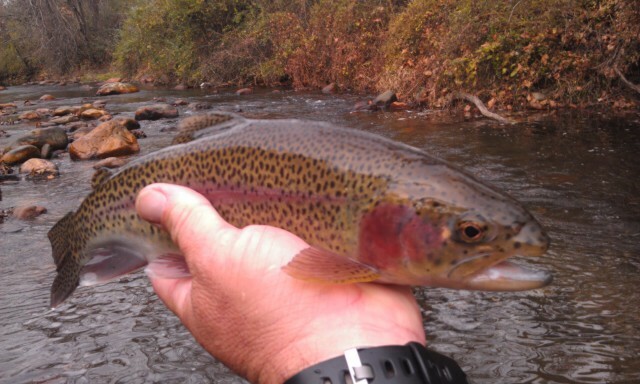 I am in Spruce Pine,NC this morning meeting Mac Cheek of Greensboro for a day of fishing….should be a good day. Cloudy with a rain/snow mix……another gift. Thank you Lord…. 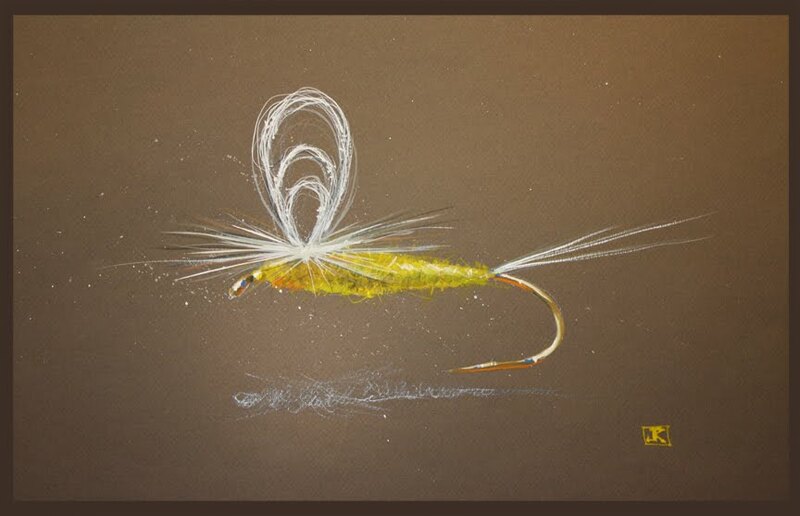 Have a great day and a good week as well…..
Nice Day, Windy but Good Fishing…. 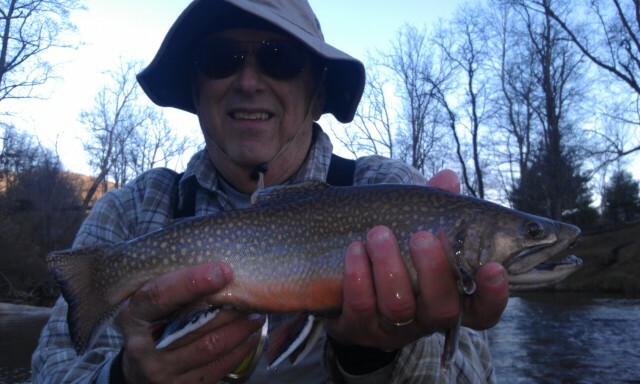 Fri. Nov.23, 2012…..Good day so far, we have landed 30-40 fish, a mix of rainbows , brookies, browns and a couple citation fish. Guiding Dr David Spivey and his son in law Jon McGraw. Landed a huge rainbow that was 24". Chilly Morn’, Rain n Snow Headed Our Way…. Fri. Nov. 23, 2012…..Chilly morning again, had a fantastic Thanksgiving with my family…..it was great. Had too much to eat. Now I know exactly how a huge brown that eats too much and sulks under an undecut bank feels. Headed out to guide Dr. David Spivey, Clemmons, NC, and his son-in-law Jon McGraw , and looking to another good day. We have rain and snow headed our way….high tomorrow in Boone of 31F! Wow…. Wed. Nov. 21, 2012….. What a great day today, it started off quite mild compared to be past several mornings , it was even mild when we stepped into the river. 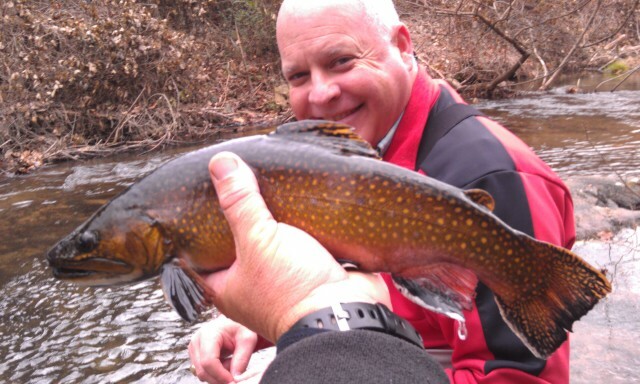 Guided a trip today with Jim Beeson, Greensboro, NC,, Ray Parks, Yadkinville, NC, and Don Daniels, Durham, NC. Met the guys early this morning and after a biscuit and coffee we hit the road. We arrived to the water and were in and fishing by 9am. We did pretty well to start scoring probably 25 fish or so by lunch, a mix of browns, brookies, and rainbows. 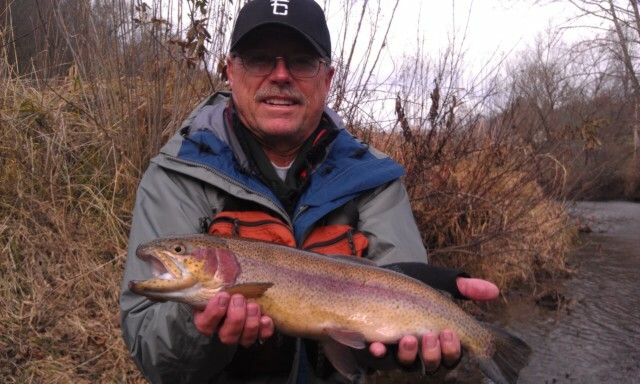 Don had on a beast of a rainbow, 23-24" variety, but it broke us off. 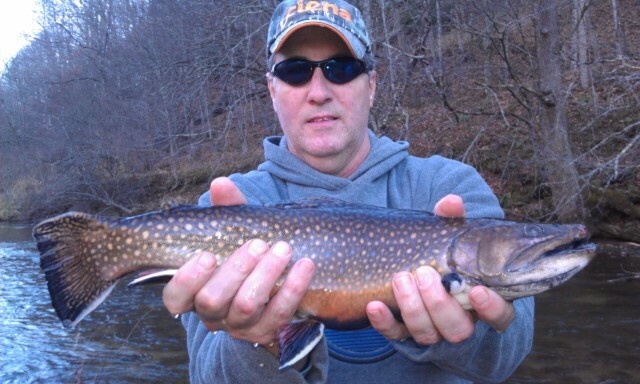 I watched Jim nail several on a nymph , several brookies up to 15". After a good morning if fishing we had a streamside lunch then headed upstream to hit another stretch of river. Headed back to celebrate Thanksgiving, hope yours is fantastic! Wed…Nov.21, 2012….. Mild morning…..well, that’s a relative statement….mild compared to the past week. Coming off two stellar days , catching both numbers of fish and 8 fish the last two days from 18-23.5"…..great day yesterday guiding Dr Steve Halm and his brother Rick Halm, San Diego, CA, we had a superb day with 50 plus fish and several trophy fish…..hope today holds the same. Headed out to guide a group trip with Jim Needing, should be a great day. Running our annual Christmas special for our December Escatawba Group Trip….$185….never before, maybe never again. Will take 6 anglers, this one will fill fast. Contact me if you are interested…. Happy Thanksgiving…! .More to come from the river….